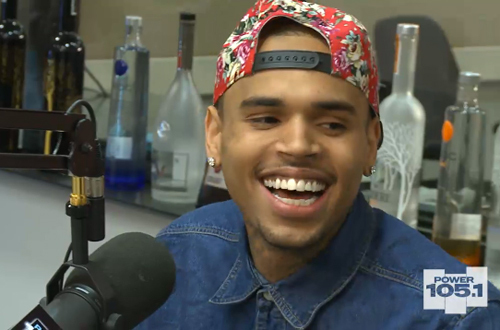 Chris Brown stopped by the Power 105 studios yesterday to chop it up with the one and only The Breakfast Club in NY. Chris & The Club chopped it up about Chris’ latest single “Fine China” from his upcoming album X, the image the media has portrayed of him the past year, his relationship with Rihanna, “beef” with Drake, the rumors that have surrounded him and drug use. It sounds like Chris has moved past the Chris Brown we saw last year, only time will tell as we wait for X to drop later this year.